Boy Scout Troop 50 | Chattahoochee Council | Auburn, Ala. | #troop50: Are we there yet? 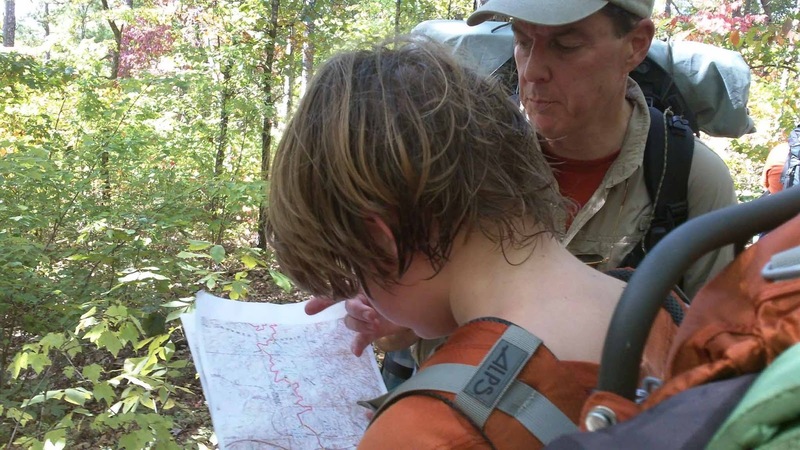 During the weekend of Oct. 15-16, Troop 50 Scouts and leaders set out to Heflin, Ala., for a two-day backpacking trip covering 14 miles of Section 9 of the Pinhoti Trail, located within the Talladega National Forest. 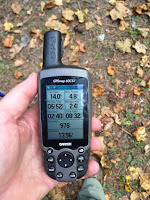 ​The Pinhoti is a premier southern Appalachian long distance hiking trail and it is also a southeast region Appalachian Trail connector. 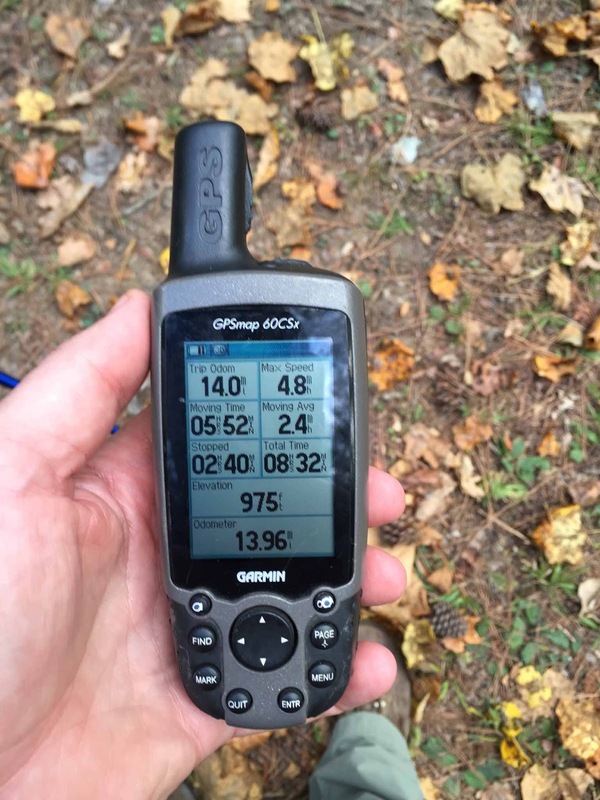 The total distance of the trail is 339.0 miles. There are 171.2 miles in Alabama and 167.8 miles in Georgia, which makes the Pinhoti the longest hiking trail in either state. Before embarking on the excursion around noon, the troop divided into its two patrols. The Eagle Patrol, led by Assistant Patrol Leader Carl, included Assistant Senior Patrol Leader Louie, Scoutmaster Andrew Baird, and Assistant Scoutmasters Clyde Wikle, JP Pendleton, and Billy Lytle. The Mountaineers Patrol was led by Assistant Patrol Leader Trey. Joining the Mountaineers were Senior Patrol Leader Creighton, Lead Troop Guide Everett, Assistant Scoutmasters Wes Williams and Christian Dagg, and Chartered Organization Representative Michael Tullier. An example of the expansive views seen from the Pinhoti Trail. Scoutmaster Baird assists Everett with getting his bearings. Throughout the backpacking trip, the troop used trail maps to navigate their way. The trails took the troop through varying elevations that included steep climbs to high altitudes with scenic views and shaded valleys where signs of water were more prevalent despite the drought most of Alabama has experienced during the past six to eight weeks. It was one of those shaded valleys that the troop chose as its lunch spot, where Scouts and leaders dined on a bevy of high-energy snacks like Slim Jims, fruit snacks, and applesauce. After lunch, the troop again split into its two patrols for the roughly six miles remaining until it reached its overnight camping spot at the Lower Shoals campsite. By six p.m., all Scouts and leaders had arrived at the campsite and began pitching tents, and each patrol set out preparing their respective dinner. The Eagles chose Italian and prepared a dinner of chicken alfredo, while the Mountaineers went Mexican and prepared chicken and rice soft tacos (with Jiffy Pop popcorn added for good measure). Several Scouts who were lacking the Cooking Merit Badge requirements for trail cooking were able to complete those requirements. Suffice it to say, the eight miles backpacked on Saturday caught up with everyone, and heads were comfortably on pillows by 9 p.m. The Mountaineers pause amid nature for a picture before hitting the trail Sunday morning. represented by their close friends. The troop was up bright and early by 6 a.m. Sunday morning preparing a breakfast featuring items mixed with boiling water, multigrain bars and anything else that would fill Scouts' bellies. By 8 a.m., the troop was packed up and back on the trail. The troop took a break a mile or so into Sunday's journey for a Duty to God devotional service, during which the topic centered on the Buddy System and how God blesses us with "buddies" who can pray with us and support us in times of need and trouble. The troop then resumed its roughly five-mile trek toward the finish line. Gathering vehicles and personal gear gave most Scouts (and leaders) a much-appreciated respite from the 14-mile, two-day trip, which included several first-time backpackers. Even for some of our more seasoned Scouts (and leaders), the trip represented their longest backpacking excursion to date. At the troop's Patrol Leaders Council the following Monday, youth leaders cited the good food and challenging trails. It also seems that many would recommend earplugs for future backpacking trips to filter out some of the complaining on this trip! For more pictures from the backpacking weekend, visit the troop's online photo album.